Using your Own Boat – $40. (many paddlers with their own boats like to join us to learn more about the history, archaeology and natural history of these rivers). Join a scheduled tour (see tour calendar ), or suggest one. Find a free date on the calendar and suggest the trip of your choice. If there are no conflicts, we’ll post it! Check the River Locator Map or Click the link below for a local map and then use zoom and panning arrows to explore the area. (Note: the marker is NOT our meeting place, but a nearby landmark. This river is about 1 hour east of Gainesville near Hastings (between Palatka and St. Augustine). 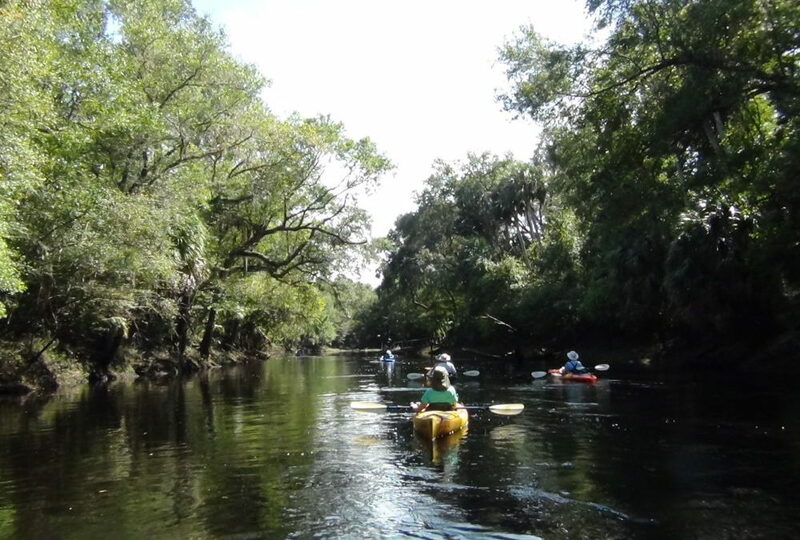 On this will be a round-trip (out-and-back) paddle, we’ll explore one of the more scenic and undeveloped side streams in the lower St. Johns River basin. Our total route is about 8 miles, so we’ll be on the water 4 – 4.5 hours. There is little current on this stream, which makes it suitable for all skill levels. Being a small(ish) stream, there’s always the possibility of new downfall, so be prepared for the possibility of having to get out for an occasional pull-over. The struggle to bring civilization to the Deep Creek area and the nearby community of Hastings has been going on for as long as at nearby St. Augustine. But it proved far more challenging to mold a solid, lasting community from the fertile muck of the Lower St. Johns River basin than from the coquina rock of the coast. For the Spanish outpost of Picolata, it was all about location, location, location. Situated alongside the relatively calm St. Johns River, only eighteen miles west of St. Augustine, Picolata was an excellent alternative landing for vessels carrying goods and passengers for St. Augustine that wanted to avoid St. Augustine’s treacherous sand bars. But, with the arrival of rail lines, shipping became less important for St. Augustine and Picolata was largely abandoned. At its peak, Rollestown had a population of 200 people and produced a variety of products including rice, naval stores, citrus and citrus products (including orange juice and orange wine) and indigo. 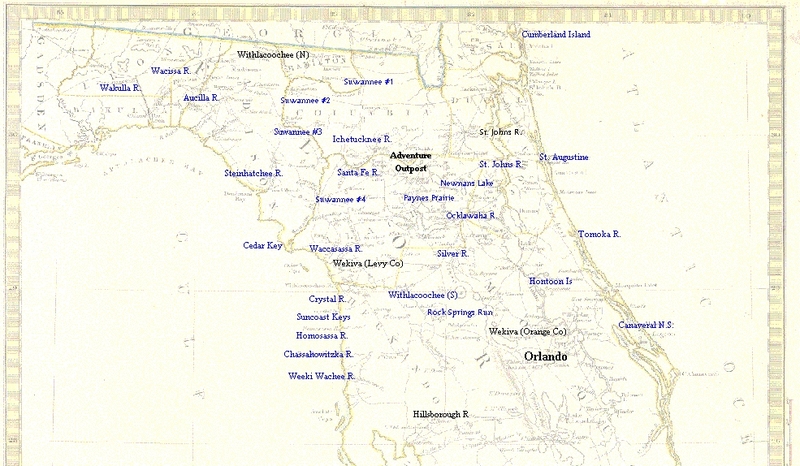 When England lost Florida in 1784, Rolles was forced to abandon the settlement. 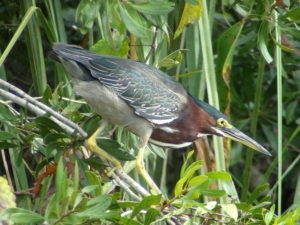 He relocated to the Bahamas, where a couple of communities retain his name. In 1765, a “battou” arrived at Rollestown carrying the famous explorer/botanist John Bartram and his son William. Months later, when John decided to wrap up the expedition and head back to Pennsylvania, William decided to stay and seek his fortunes in Florida. 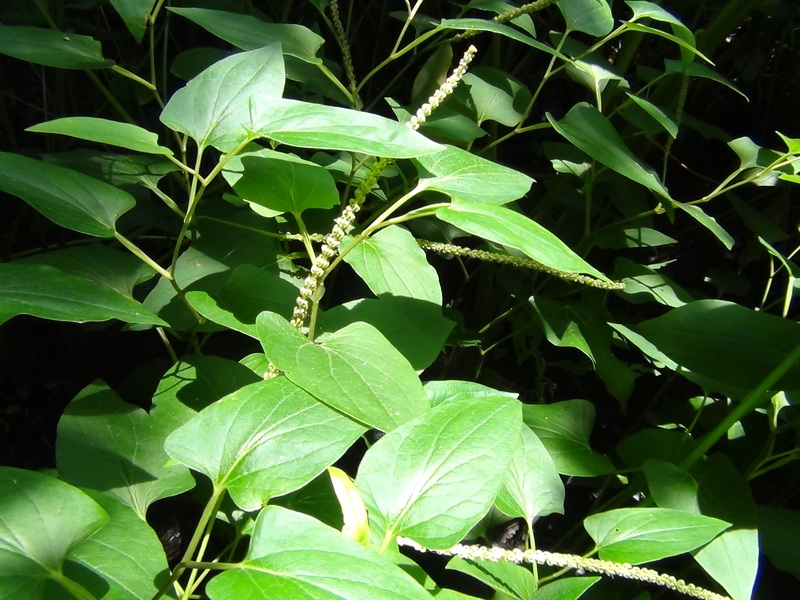 On a plantation near the mouth of Six-mile Creek, just north of Hastings, twenty seven year old William (and a handful of slaves provided by his father) tried his hand at raising indigo. As later revealed, the young naturalist’s heart lay with other pursuits and he abandoned the enterprise later that year. A decade later, William Bartram returned to Florida on a venture more suited to his passions. 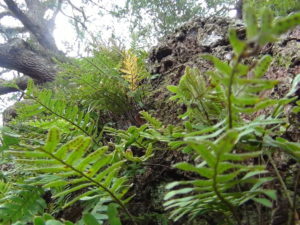 With funding from a patron and friend of his father, William came to document the nature and people of Florida, with special emphasis on plants. Unlike his earlier ventures, this was a monumental success and resulted in the famous book Travels. Early on this second Florida expedition, William secured the help of one of Denys Rolles’ agents, a seasoned woodsman named Job Wiggins. Referred to in Travels as the “old trader,” Wiggins played a vital role in Bartram’s famous expedition, not only for his role as his guide and mentor, but also for loaning William the boat he used for much of the trip. Wiggins later established his own plantation near Hastings after Rollestown failed. With the outbreak of the Second Seminole War in 1835, plantations throughout Florida were converted to forts to protect local citizenry. Closest to Hastings was Ft. Hanson on the banks of Deep Creek. Several miles east and northeast of here were Forts Weedman and Harney. Settlers living south of Hastings could seek sanctuary at Fort Buena Vista on land now within the bounds of East Palatka, and Fort Hunter at the old site of Rollestown. It wasn’t until after the next war—the War of Union Aggression (as the settlers in this region liked to call the Civil War)—that today’s town of Hastings got its start. In 1890, Thomas Hastings established Prairie Garden, a large commercial vegetable farm, to feed the growing number of tourists now coming to St. Augustine and North Florida as part of a booming health spa industry. When Henry Flagler routed the Florida East Coast Railroad through the area, he called the train station “Hasting’s,” thereby solidifying both the town’s name and its importance as a source of vegetables and potatoes. decorated vehicle” of the parade. It’s a huge, open-topped vehicle similar to those used by European royals and dictators of that time, except for one distinctly Florida flourish—it’s covered in Spanish moss. This is an easy, out-and-back paddle on easy flowing water. Beginners and pros alike enjoy this tour.